I saw an article recently on bold rim lighting, so i decided to give it a go. My setup consists of the pitcher, plus four elements. The pitcher is sitting on a folding TV tray table, which is in front of the couch. Sandwiched between the table and the couch is a 36" by 60" white diffuser. Taped to the front of that, behind the pitcher, is a piece of black card to block flash hitting the pitcher directly. Finally, an SB800 is on the couch cushion, set to 1/8 power, 24mm, with its built in diffusion panel down. 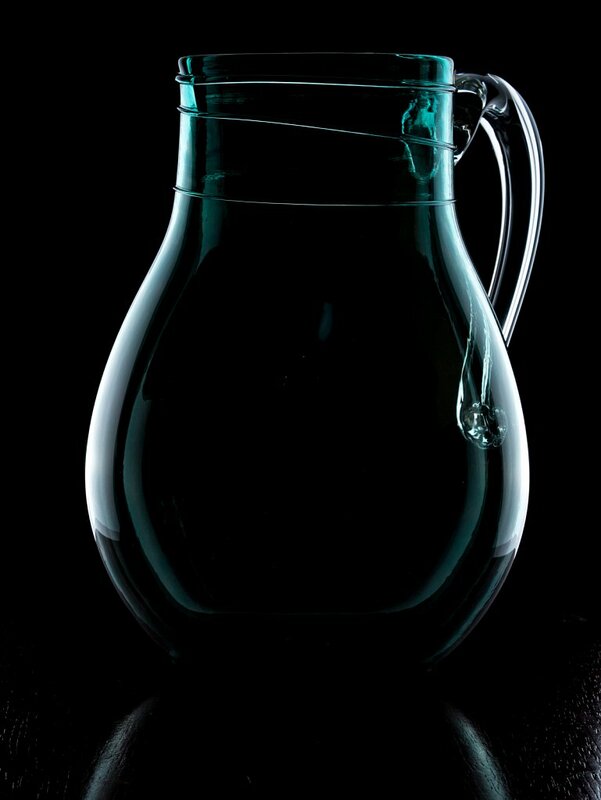 As can be seen, from the truncated highlights toward the bottom of the pitcher, the flash was too low. I'll try again soon.